Prof. Yunus D. Mgayar is a marine biologist currently serving as the National Institute for Medical Research (NIMR) director. Throughout his career, he has published extensively and involved in various consultancies on aquatic science, strategic planning, monitoring and evaluation, strategic environmental assessment, environmental impact assessment and biodiversity assessment. The ex-marine biology professor of the University of Dar es Salaam, where he once served in one of the influential positions of Deputy Vice Chancellor, first graduated with a B.Sc. in Zoology and Marine Biology from the University of Dar es Salaam in 1986 before obtaining an M.Sc. in Fisheries Biology from the University of British Columbia, Canada, in 1989, and later on a PhD in Aquaculture from the University College Galway, Ireland in 1995. 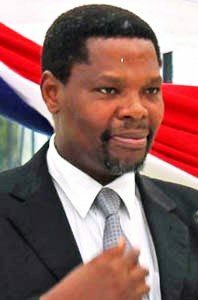 Prof. Mgaya, who before the latest appointment served as Executive Secretary of the Tanzania Commission for Universities (TCU), has published over 60 articles in international journals – mainly in his research interest area: aquatic science. Mgaya, who during his university teaching career reached the title of full professor of aquatic science, has authored or co-authored three books, written 10 book chapters and participated in compiling over 50 technical and consultancy reports.